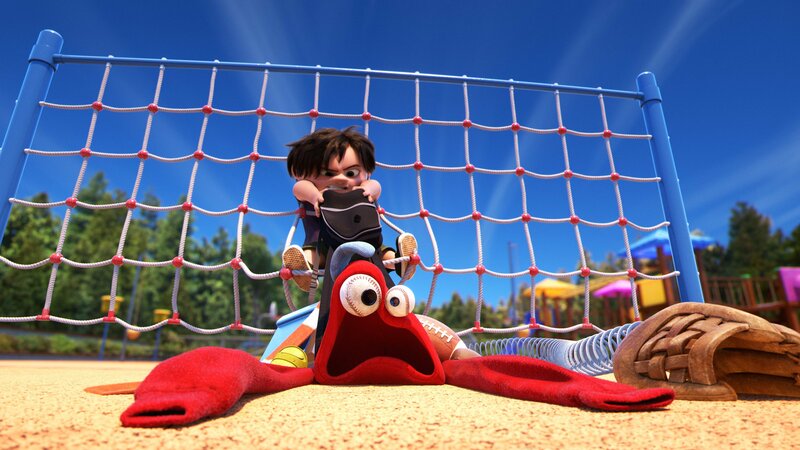 During a press event at Pixar last month, the studio showed some new footage from Cars 3 and Lou, the short film that will accompany the feature this June. A few months prior to the press day, Pixar released only a brief synopsis of the film and a still that showcased the box of toys that will play a pivotal role in the films story. 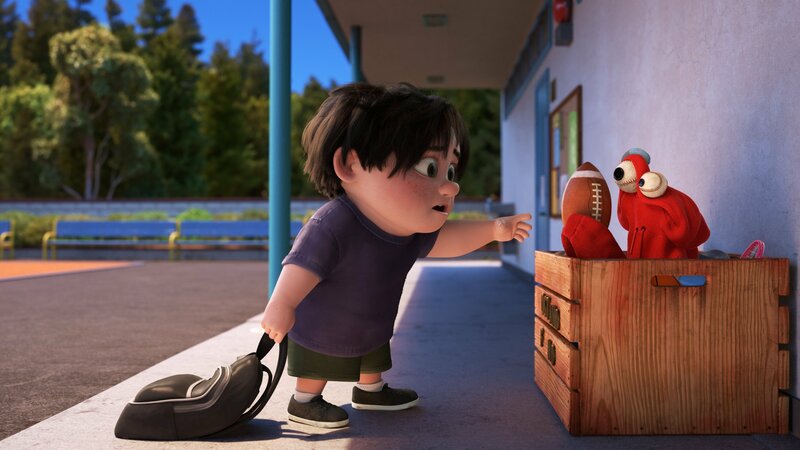 Lou is directed by animator Dave Mullins and will focus on a monster, aptly named Lou, who lives in a lost and found box at an elementary school. The monster is a unique design composed strictly of all the items placed in the box, such as a red hoodie, a baseball, a shoe, some buttons, a slinky, and even a handheld video game. It’s certainly interesting to see in the footage and the images released how much Lou was personified – after all, he’s composed of a plethora of inanimate objects. It’s clear that Pixar’s challenge with technology this time around was bringing this character to life and making him just as convincing as the toys in Toy Story or even the umbrellas and the city in The Blue Umbrella. The items that make the monster aren’t threatening at all, which make him even more lovable and less like a monster – just a mythical creature composed from children’s lost toys. At the end of recess every day, Lou collects all the lost items that are found in the playground and takes them back to the box for safe keeping. It’s then that he notices a bully who has been snatching his classmates personal items, so Lou takes it upon himself to handle the situation (in a perfectly Pixar fashion). Based on the above images and the information we’ve learned in the last few weeks, we’re excited for you all to see Lou during Cars 3 this summer. It’s a refreshing short film that pushes the boundaries of storytelling, has a boat load of super fun animation, and shares a fantastic message about learning how to be compassionate. Don’t forget to catch both Cars 3 and Lou on the big screen this June, 16th. Pixar’s creative advertising – a Cars 3 messenger bot? !